The 11-year-old boy who survived a fatal bus stop accident, where three children in Indiana were killed by an illegally passing driver, met the medical team members who saved his life, reported theindychannel.com. Maverik Lowe was with his siblings, Alivia Stahl, 9, and her brothers Xzavier and Mason Ingle, 6, on Oct. 30, when they were struck and killed by a driver who did not stop for the extended stop-arm and flashing lights. Lowe survived the crash, but was transported to the hospital in critical condition. The article reported he has made tremendous progress since the accident. His GoFundMe page said he may never walk again. He suffered broken bones, a broken knee cap, fractures in his arm and wrist, and he has had several surgeries. The page said he was hit and thrown over 30 feet. 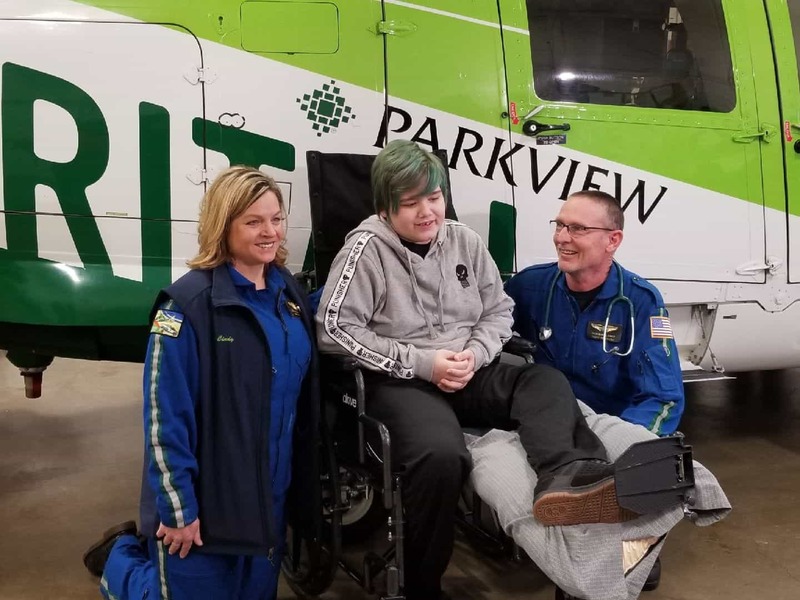 The article stated that on Feb. 4, Lowe met with the nurse and paramedic who treated him in the medical helicopter on his way to Fort Wayne.